Shock top straight out of the tap in the St. Louis Budweiser brewery is some of the best beer I’ve ever had. Great tour too. In about two years of using Untappd, I just got my badge for a 500th variety. My list of favorites would be pretty long to post. Big barrel aged stouts are my favorite, but I’ll drink most anything but IPA and pale ales. Mother’s is probably at the top of the list of favorite breweries. That being said... not afraid of Bud Light. Mother's eh? Get on over to 4by4 or Lost Signal and try some good stuff. 4x4 is alright. As is Tie and Timber. Lost Signal... meh. Someone bought a Mr. Beer kit and opened a brewery. Not a SBC fan either. 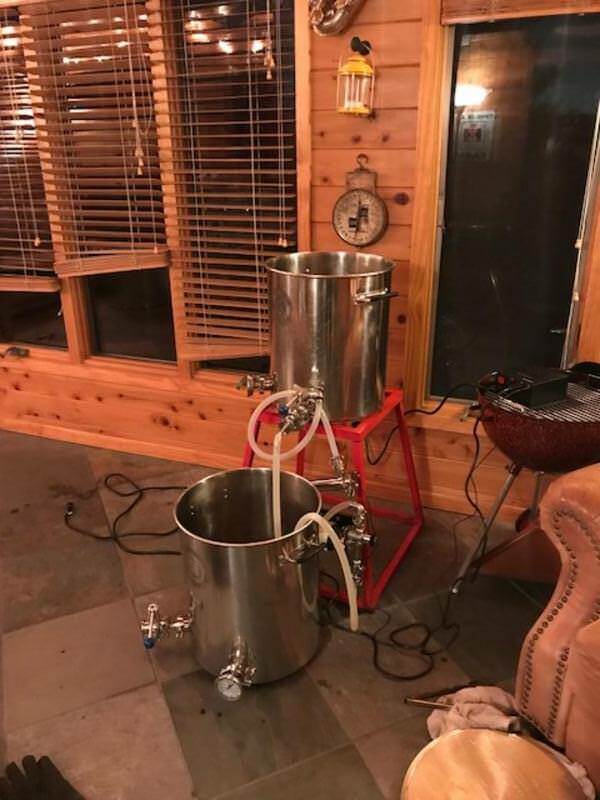 Any other home brewers out there? I’ve slowed down a ton due to kids sucking up time and resources but hopefully ramping back up soon. I home brew. I normally get 2 batches in a month or every other week. I brew all grain via BIAB and I ue the no- chill methodso i can brew a batch in around 4 hours including clean up. I have to admit I buy much beer anymore but then again i couldn't afford to drink the beer i like all the time either. So homebrew has its benifits. Small portion of today’s haul. Two of my favorite Metal bands have their own beer, which I have yet to try, Iron Maiden's "Trooper," beer, and Anthrax "Wardance," Pale Ale! I've been drinking Budweiser "The King of Beers," just about all of my adult life. 'Thinkin' about making the transition over to Bud Light. I have been trying to hit the low carb/calorie beers, but that is one area where I don't find much love. Amstel X light and good old Miller lite are the only ones I can stand. I love Samuel Adams, but it makes me fat. Tonight, I had a couple of the Budweiser Copper Lager. Good stuff! Yes, I just brewed a Spotted Cow clone on Friday night. Fun hobby! Interested in ANY offset handle SJs you may have. Pelican Export Stout and Speedway Ale ... chased with Oban neat.